As you may have seen if you happen to read my tweets or face book posts, Coen is in the hospital. The whole family has been sick this week (and to think I was so excited about doing everything as a family! That'll teach me!). Most with just colds, but John and Seth had it a bit rougher than everyone else. Then Coen suddenly decided to play catch up and got so sick we decided he should go into the ER last night. 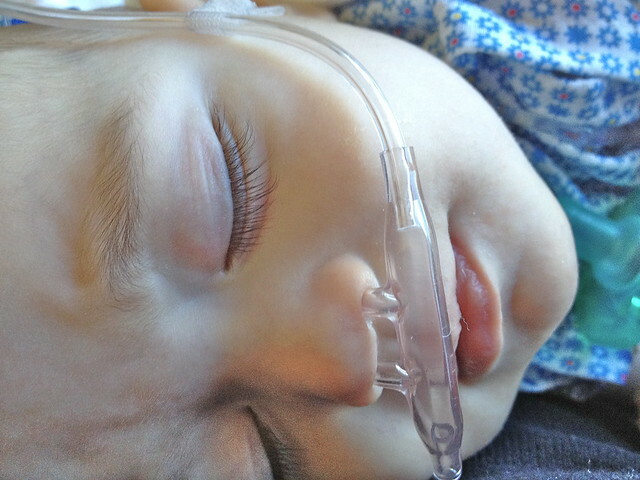 They did x-rays and some testing and found that he has both pneumonia and RSV, but sent us home after a dose of steroids and antibiotics with orders to do breathing treatments every four hours. We headed in this morning to see the kids' pediatrician and while it seemed like he was doing better at first, as soon as they stuck that oxygen saturation sensor on his foot my heart sank. 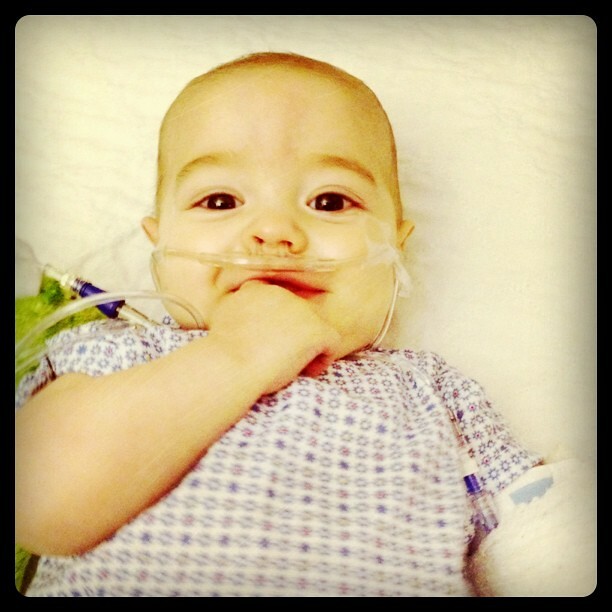 Even after two breathing treatments he was hanging out at around 75% and really struggling, so he bought himself a hospital admission pretty quickly. So CoCo and I are camped out at the hospital while John, who is also pretty sick himself, is taking charge of the other four kids, two of whom are also sick. Talk about getting thrown into the deep end! John's handling it like a champ, though, and it's just proof that his great-Dad super powers are returning with a vengeance. Coen is doing well as the doctors and nurses here do their best to fix him up so we can get hm back home. Of course I would still greatly appreciate some prayers for him and for John and the kids!